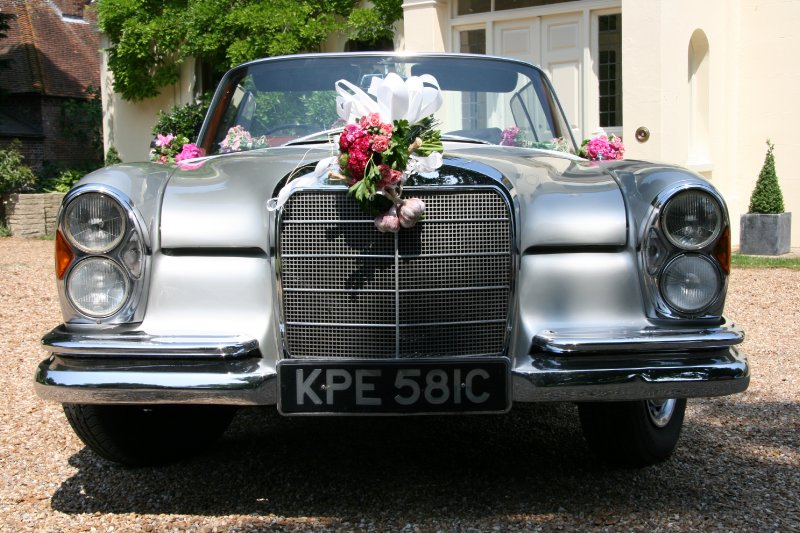 This beautiful Mercedes is 50 years old and is a timeless style icon. 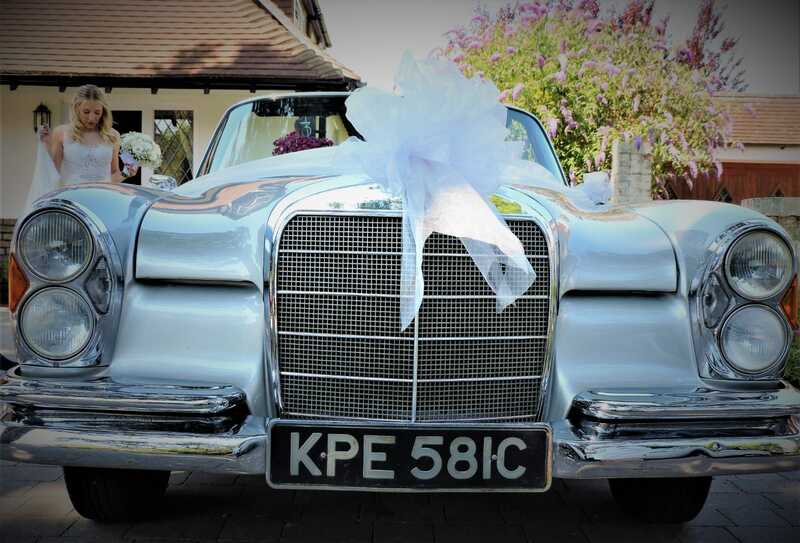 It is a 220se, four-seated Cabriolet with black leather upholstery, silver chrome coachwork and a black material hood. 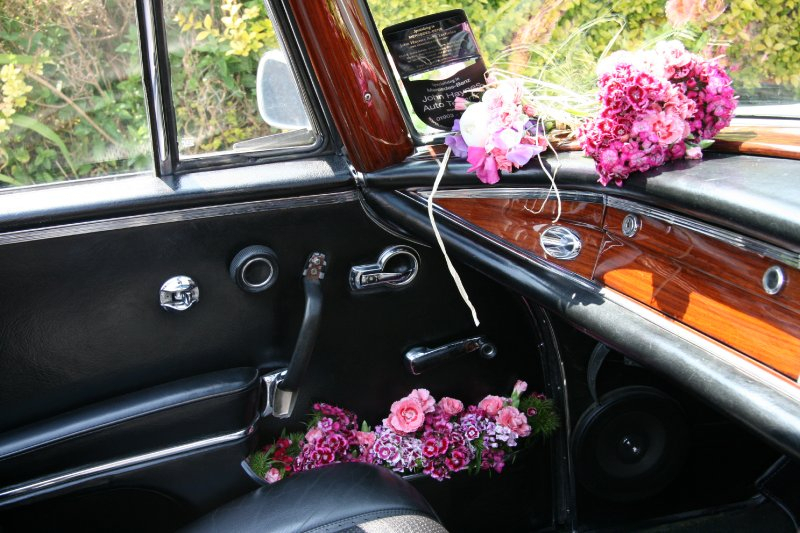 The walnut dashboard is just one of the many original features. 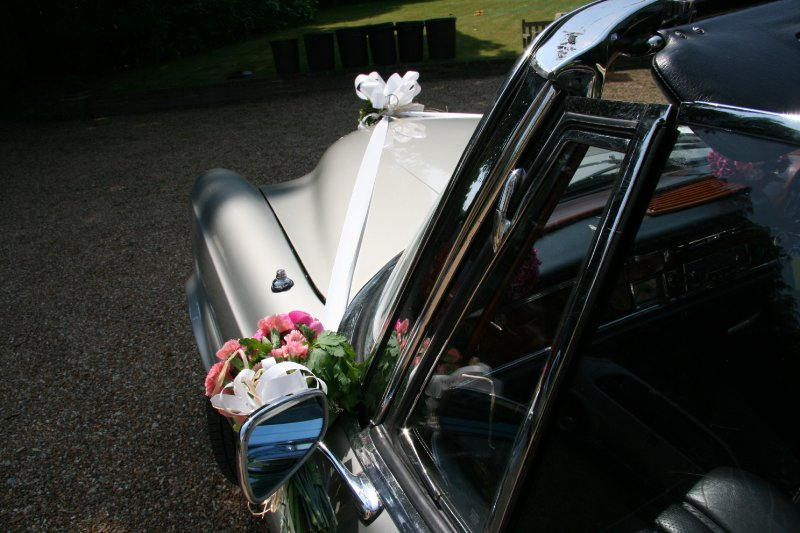 It is a smooth drive and the perfect accompaniment to your dream wedding. 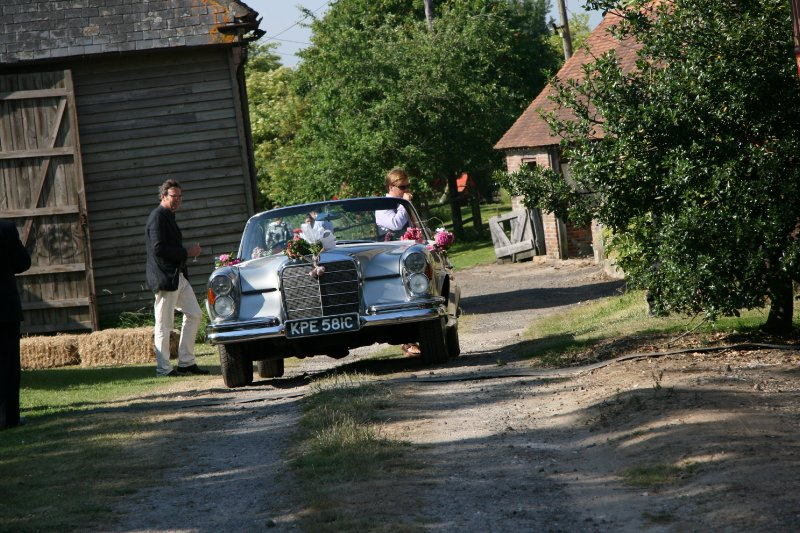 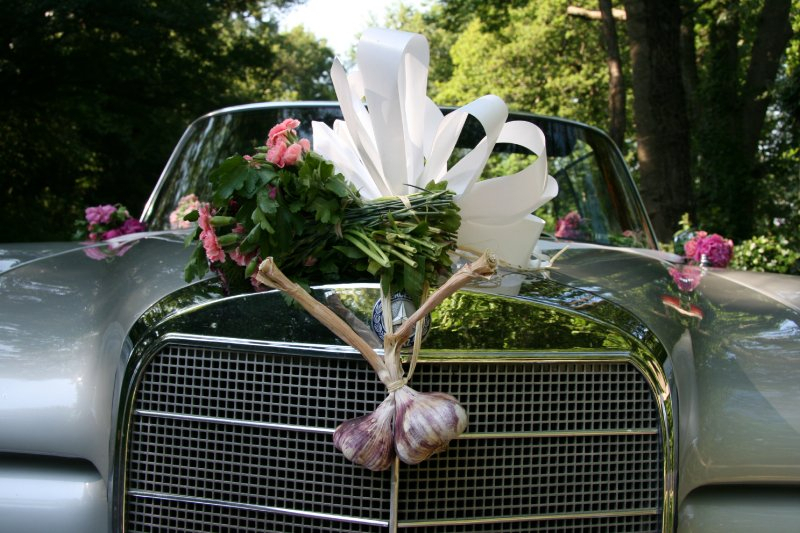 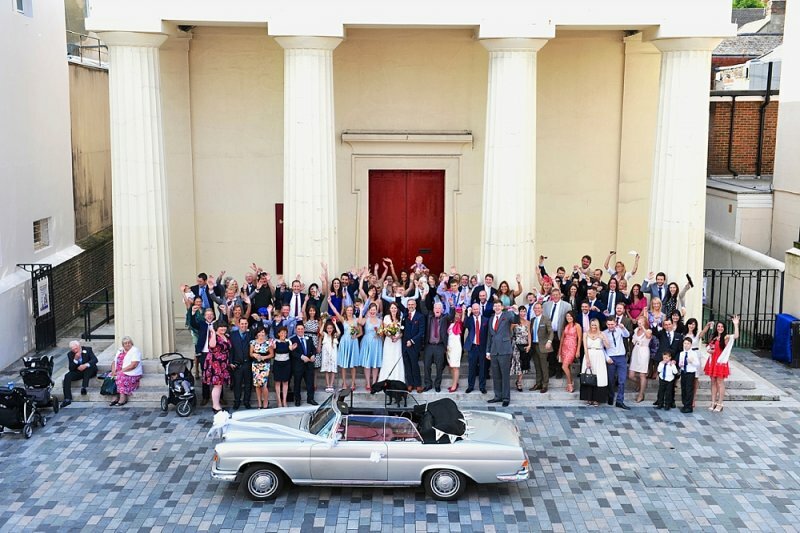 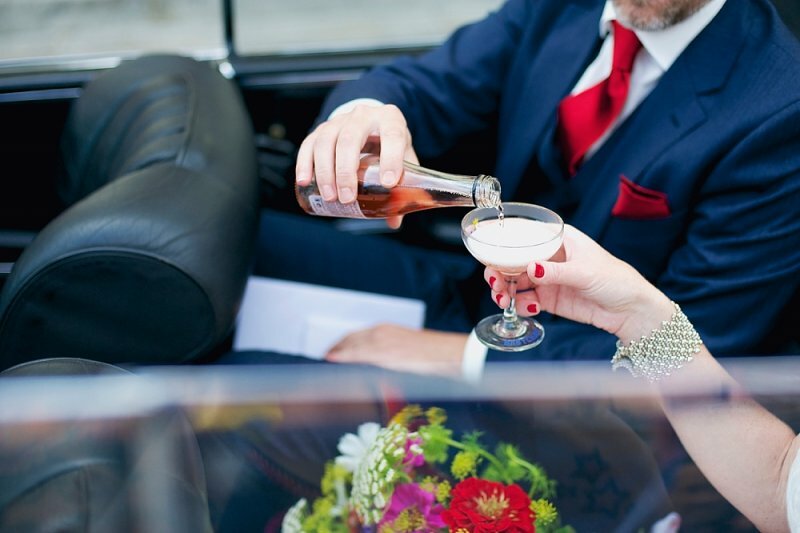 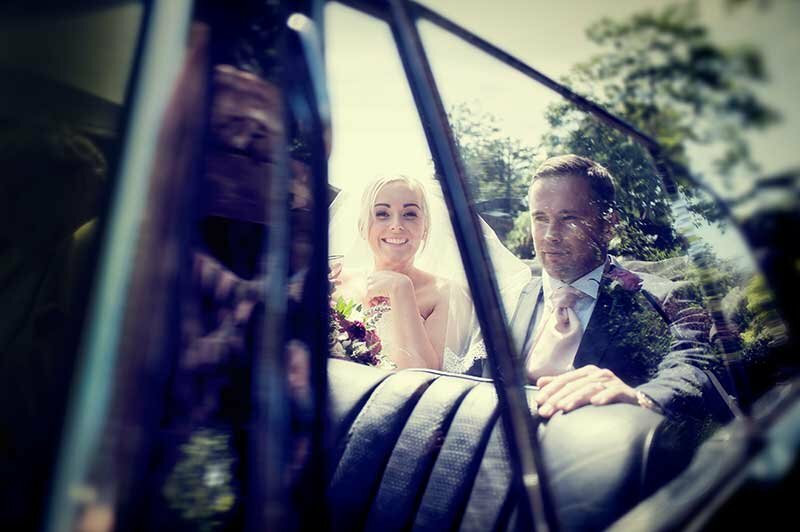 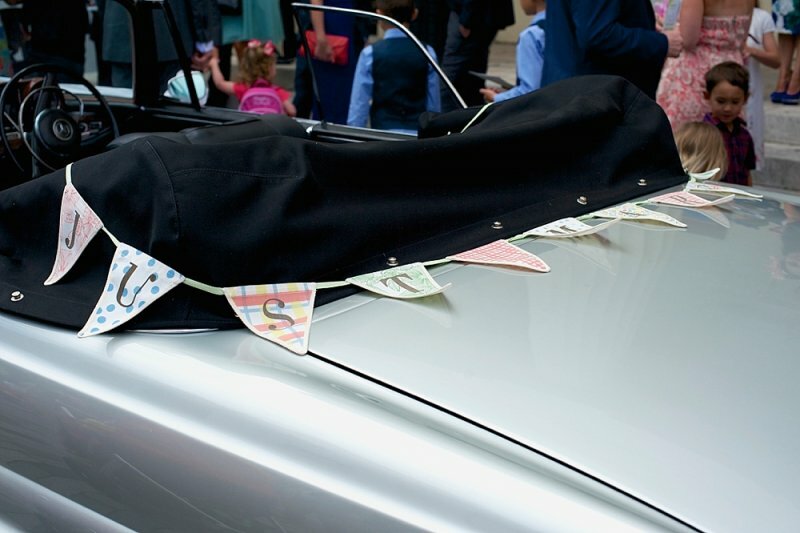 We decorate the Mercedes with flowers from our country garden and supply a small bottle of fizz and glasses, the chicest way to arrive at your wedding. 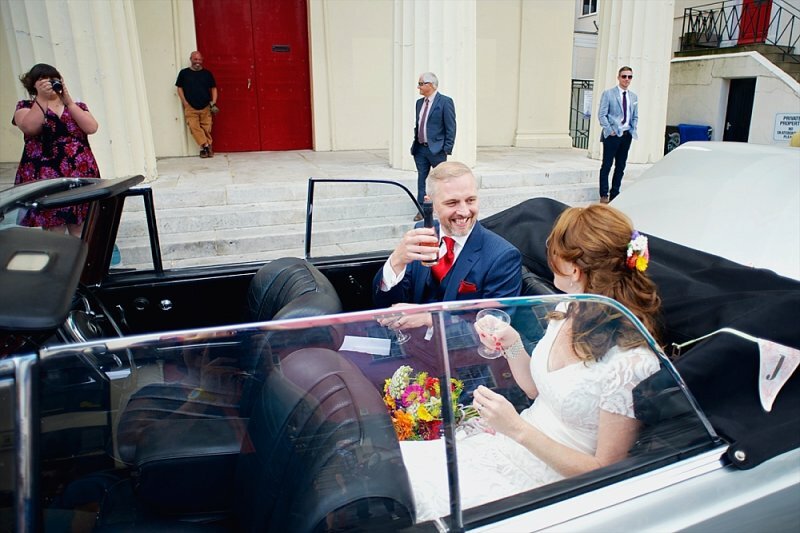 “Thank you for letting us borrow your beautiful car.